Derek Mackay yesterday paved the way for council tax rises across Scotland as he brokered a budget deal with the Greens that will also introduce a new levy on tourists. A workplace parking levy plus an increase in plastic bag tax were other key items in the package negotiated by the finance secretary with the Greens. The support of Holyrood’s six Green MSPs was enough for Mr Mackay to win a Holyrood vote by 67 to 58 on his £34 billion package, which includes plans to increase the income tax gap between Scotland and the rest of the UK. The budget passed last night confirms income tax plans announced in December, which will result in hundreds of thousand Scottish higher earners pay more than their counterparts south of the border. The finance secretary described his proposals as “substantial devolution” to local government, but they were denounced by the Tories as a “triple tax bombshell”. 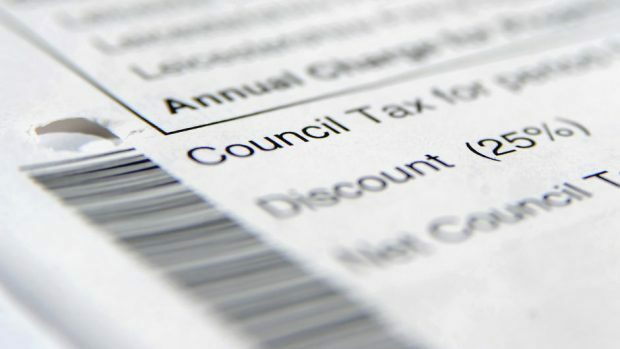 With the Greens demanding more cash for local government, Mr Mackay agreed to lift the 3% cap on council tax rise to 4.79% – a move that could raise £47 million. Legislation that will give councils the power to raise a tourist tax will be introduced. A Green Party amendment to the Transport (Scotland) Bill that would enable local authorities to raise a workplace parking levy will be adopted. Mr Mackay said hospitals would be exempt from the new parking tax. Plastic bag tax will go up from 5p to 10p and the government agreed to a charge on disposable cups in principle. Non-Domestic Rates Empty Property Relief would be devolved to local authorities in time for the next revaluation. While Green demands to replace the council tax with a residential property tax were met with a promise for cross party talks on the issue with legislation in the next parliament. Mr Mackay said his package included an increase of £90m for the core resource local government settlement, a figure short of the funding gap of £237m identified by his opponents. Last night Labour claimed that the extra amount would not stave off cuts. The finance secretary said: “These additional measures will deliver the most significant empowerment of local authorities since devolution and provide additional funding to support local services. But Tory finance spokesman Murdo Fraser accused the Scottish Government of breaking its tax promises. Mr Fraser said: “Thanks to the SNP, Scots across the country are about to be hit by a triple tax bombshell. Labour finance spokesman James Kelly welcomed plans for a tourist tax, but said councils still faced cuts. “These proposals do nothing to help councils in the coming financial year, who face a £230.7 million cut to funding,” Mr Kelly said. Over the last few days there has been a lot of talk about the possibility of Derek Mackay’s budget failing at its first parliamentary hurdle. In a nutshell, the Greens demanding more cash for local authorities, even more income tax rises and movement on their goal to replace council tax with their plans for a penal “residential property tax”, which would see homeowners pay 1% on the value of their house after a £10,000 tax free allowance. With mid and higher earning Scottish taxpayers already facing tax bills higher than the rest of the UK, Mr Mackay was reluctant to budge on income tax. On the crucial matter of council funding, the Greens had been spinning that they were looking for an additional £237million for local government to plug the funding gap identified by the Convention of Scottish Local Authorities (CoSLA). In the end, the SNP won over the Greens with a promise of an extra £90m for the core local government settlement – a figure considerably short of £237m.